LTD and they build ECHO Cottages for the senior market. ECHO stands for Elderly Cottage Housing Opportunity. 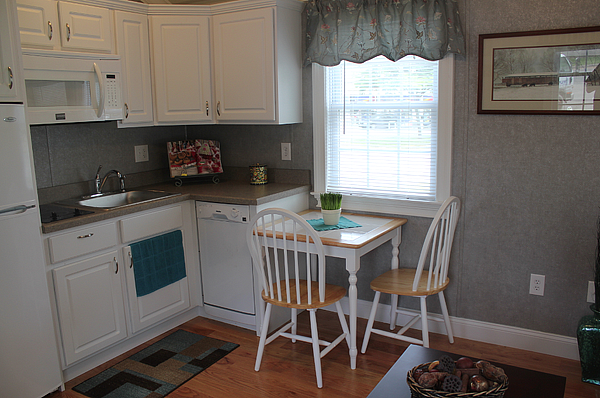 ECHO Cottages LTD has developed and constructed a 400 square foot mobile unit that will provide a complete living environment for seniors who have entered a time in their life when living alone or distant from help is difficult. The ECHO Cottage is leased and removed from the lease’s space as soon as living arrangements change. This is an affordable option to assisted living facilities which cannot be built fast enough to keep pace with the growing over 80 population, moving in to an existing room in a child’s house, or adding a costly addition to a family member’s house. ECHO Cottages believes that in the years to come, housing for he elderly will be scarce and have a critical impact on the health and well being of families everywhere. 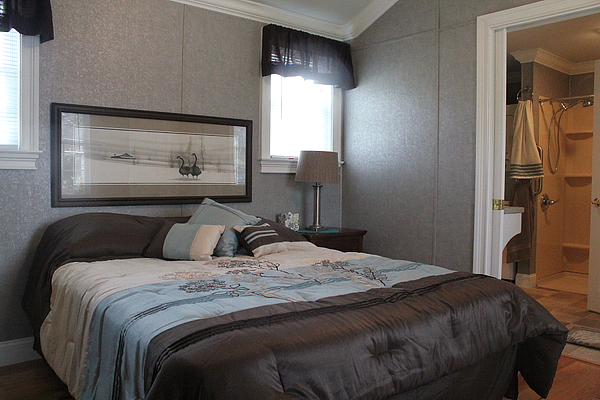 The ECHO Cottage is placed right on the property of the host house and is hooked up to existing plumbing and electric. Safe, close to family, dignified, and affordable. The ECHO Cottage is a positive answer to what could be a difficult problem. It would be fantastic to be a part of your blog. 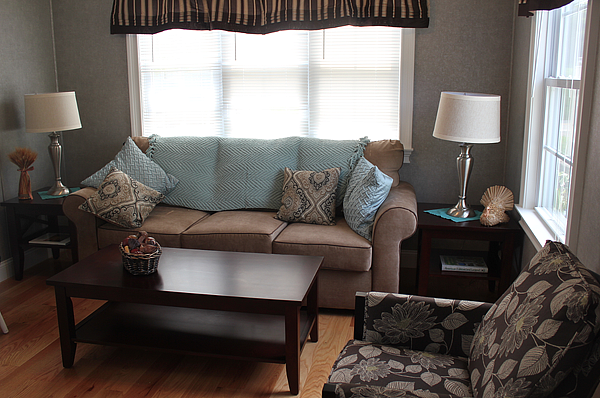 The ECHO Cottages are only for elderly occupants and will require documentation of need and use by the host property. New zoning laws are being put into place starting January 2013 in the Hudson Valley where ECHO Cottages LTD is based. Many towns have zoning laws already in place permitting the ECHO Cottage. Very nice. I could be happy in one of those cottages. My only question is what about accessibility? Can these homes be made without the stairs or with a ramp? Our cottages come with stairs, and for an option we can offer a wheel chair lift that attaches to the side of the porch. Inside the doors and hall are wide enough for a wheel chair lift and the shower is barrier free. I am developing “senior friendly” park models specifically designed to be user friendly and fully accessible with a permanent or modular ramp. The floorplans are specifically designed to accommodate seniors with wheelchairs with wider hallways, oversized baths and numerous options to enhance their liveability. All plans will have lofts, accessible by strategically positioned 30″ wide stairs leading to up to 150 sf of living space or pull down stairs leading to insulated storage space. I am currently seeking the best manufacturer to accommodate my specifications. Pricing will start in the low $ 40’s. 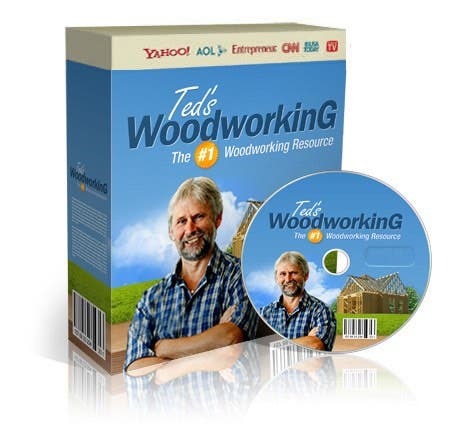 Send me your email address if you are interested in further information. I am in Spain, similarly interested for this age group and a park -type home able to withstand considerable heat and cold. How does yours differ from what’s already on the mobile market? 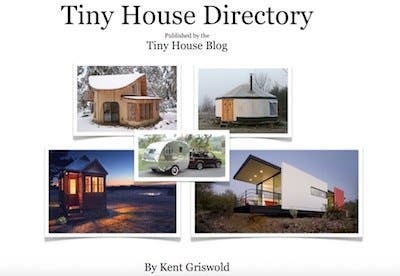 Tiny House Blog participant and enthusiast! Do you know what the monthly lease payments are? Also, do you have a website or contact point so people can obtain information about starting a similar program in other areas? hi chris, in response to your question our target lease is $1,300 per month on a month to month lease. (in our area about 1/3 the cost of an assisted living facility)There is also a fee to hook up the cottage to the main house water, electric, sewer/septic, lay in wires for the security/monitoring system, cable tv and internet connection. we also level the cottage on piers and anchor to the ground in 6 locations, remove the hitch assembly and store it to be used when we remove the cottage, install the stairs and porch and fully skirt the entire cottage to hide the undercarriage. the picket fence and landscaping is only done on this cottage because this is our model and it is set up in a parking lot. Normally our ECHO Cottages are set in the rear yards of the adult child’s home for their senior parent, when they can no longer live alone, and don’t want to go into an assisted living facility. this way everyone maintains their privacy and a degree of independence. I think $ 1300 a month is a bit too high for me . ( I am disabled and I only have 1 / 3 of that price for my monthly living ) so I don’t think I can afford it . This tiny house is pretty though . Thanks , TM. These are pretty and quite nice. I could be comfortable living in one of these but my goodness, the price! I live on social security and a 400 sq ft. place here would rent for $350. You could rent a four bedroom home completely furnished for what you are asking for these. I think maybe if your market is for seniors you should rethink the price and maybe make them available to lease or lease to own. This price is just too much for the space. $1300 a month for seniors? Wow, they could live cheaper in a campground. Most seniors live on social security, I doubt they can hand their whole check over to rent… they still need to eat. I have to agree with many of the other commenter’s about pricing for elderly. The cottages are more than worth the prices you have posted but not really affordable for most elderly people. I would have loved to have had one of these instead of my home for the last 35 years, these “tiny houses” are much more my style. If my house wasn’t already paid for when the bottom fell out of the economy I would be living in my daughters basement, as it is I barely get by on $900 a month so even to rent one of these is way out of my league. Too bad, they really are beautiful. Really like the idea of park models but who can afford $1300/month leasing fee? Even $500 would seem steep to me. If you buy a park model and put it in a nice park with amenities, you should not be paying over $250/month for leasing. Remember you still owe real estate taxes on it also. Mr Novak, if I understood the video on your website correctly, this is a leased housing option only, not ownership. Boo #1. Ownership should be considered heavily as by the time Mom dies and doesn’t need the house unit anymore, the caretaking child probably will for themselves or a second income source as they near retirement. Boo #2 is re: the stairs only construction with the option of a lift. Many seniors will have mobility problems even going to a wheelchair before a nursing home or a casket is required. Your company really needs to help itself by creating a ramped option for these homes. Otherwise, nice video and concept for senior housing. Good morning Carolyn, the reason for the month to month lease is because in the area where we started in NY. the Towns require that the cottages be removed 30 days of the seniors passing. These cottages are strictly for senior family members and not to be rented out. Thus we lease to alleviate the hassle of some one needing to find a buyer, move the cottage, etc. If your municipality is different we will gladdy sell you an ECHO Cottage. rt of your comment. We will gladdly provide a ramp, as an option for wheel chair access, but i will tell you from experience, that since it needs to be about 40 feet long, to meet ADA guidelines, it is not an easy ramp to go up by your self. I spent 3 months in a wheel chair last winter due to a construction accident i had 25 years ago. My ramp was the same pitch, but only 16 feet long, I have pretty decent upperbody strength, and the ramp was still a challenge at times. Definately recommend the lift, same price. I’d like to know more about the sustainability/building health of these structures. From the images it looks like the entire building is made from man made materials. While this is not neccesarily and automatically a bad thing, I’d like to know if anybody has looked at offgassing and the potential for recycling the materials once the building has reached the end of oits life. Especially the outside images look like there’s an awful lot of vinyl in play, for both the siding and the fencing. hi Andrew yes there is a lot of vinyl on the out side, we build these cottages to be as maintenance free as possible, we don’t include the picket fence, this is our model and is set up in a parking lot of a Realtor we use, same with the fake grass. LOVE IT, LOVE IT, LOVE IT, finally a real tiny house made to be live in (regardless of age). This would be suitable for anyone wishing to downsize. Very refreshing to see, I get tired of cheap sheds on cheaper trailers and everyone thinking they reinvented the wheel. I absolutely think this is one of the best yet. Thank You for your comment Bob H. we developed this concept strictly for seniors. i have been building houses for 40 yrs and when my 82 year old father came up with this idea, my brothers Bill and Tim along with our father former a company to build and lease cottages. We are just starting to market and for the past year educate towns and municipalities to this whole idea. Most of the Towns in our area are receptive but, government being government, does not move fast, but once they realize that this idea helps fill the growing need for senior housing, with out having to build any facilities or infrastructure, plus the fact that the cottages are only in place while the senior is living in them, and once they pass on they are removed, thus removing any impact they might have had on the area to begin with, something you cannot do once you build a facility. Why no concessions to disabilities (wheelchair access etc)? Contact any builder or contractor to build one like this. Really like the flexibility and family oriented concept of this dwelling. I think zoning laws will really need to be revisited and revamped in order for these Echo cottages to become a viable alternative. Hope it can come about. You are correct Zoning is an issue and my job for the last year has been doing presentations to the various towns, senior organizations, Rotary clubs, Chambers of Commerce. Department of Health, Office of the Aging, and introducing this concept to them of a different way to help care for our aging family members. This is very time consuming and government moves oh so slow. We do have one town ready to pass a law in January that will allow our type of cottage to be used and then we start marketing. there are 2 other towns that will probably pass the same law as the first. This is a great option for the elderly. On a whole the unit looks rather large to me, lol. But then I’m trying to squish my family of 4 into a tiny house…atleast part time. The doorways could be enlarged for wheelchair access and the stairs replaced with a ramp easily enough. I saw the shower looked very ‘disabled/elderly friendly’ already as well. Hi Jennifer, the Doors and hall are wide enough for a wheel chair and the shower is ADA approved for a wheelchair as well. we do have an option for an exterior wheel chair lift that attaches to the side of the porch and leaves the stairs where they are. you could use a ramp, but a ramp that high would need to be 42 feet long, and i know from experience, i spent 3 months in a wheel chair last winter, that is a hard ramp to climb, esp for a senior. so i suggest the lift, they are about the same cost. Are these the ones Stephen Colbert was ripping on the other night? He had some funny and poignant points. Steve Colbert was ripping another product that costs approximately twice as much – cheap laughs. I usually think he’s pretty funny, but he was irresponsible to frame the conversation the way he did. Those who decide to go this route with an Echo Cottage or other flexible house on their property are actually staying closer to their parents in need – the easier route is to place them in assisted living or skilled care. Of course, sometimes a nursing home or assisted living may be the more appropriate choice, but for many it is not. These look just like straight-up mobile homes. Hi Jay, they may look like a mobile home, but that is about where it stops, my family has been in the building business for 3 generations, this is the first time we have tried to build something other than a home or office/commercial building, so naturally we just built it the same way we always do. Are there cheaper and easier ways to build? i am sure there are, but since we lease these cottages and do not sell them, we want them to last us about 25 years with a minimum of problems, aside from normal maintenance and updating over the years, so why would we build with anything but the best? Are those the ones in the Brewster, NY area? These are really cute. 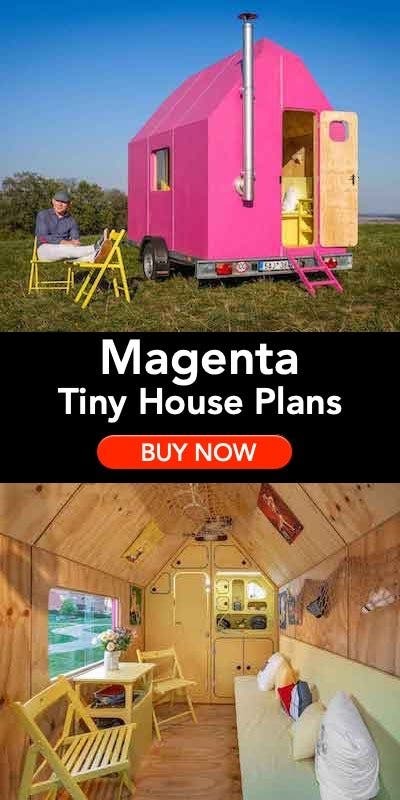 I’m glad to see more tiny houses being built with the elderly in mind. No loft and no ladders to climb, that’s my pet peeve about tiny houses. While I am not elderly yet, I really like this idea of a tiny house. Since I still have children at home, maybe the addition of an extra bedroom? No ladders to climb is a definite plus! 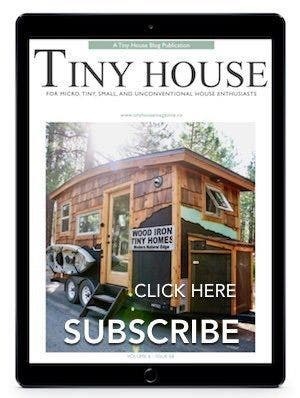 Best of all, it doesn’t look like a TINY house – I really am impressed with this idea! Great Job!! Here’s Echo Cottage website. Looks like you have to contact them for a price. This looks like a new name for MOBILE HOMES! They offer a “Garage Unit” that flips a garage into a one-bedroom apartment and easily converts back. http://www.echocottages.com/the-garage-unit-by-echo/ This seems to be a better “tiny house fit” than the ECHO cottage. I wish pricing was public because a real and well built mobile home can be leased for fairly cheap these days. I think the draw for them is the VALUE, but the real value is a secret. Hi Aric one of the reasons we do not publish prices on the website is we are presently doing the garage-unit by ECHO Cottages in a couple parts of the country. My brother heads up ECHO Cottages in Williamsburg,VA and my brother Tim heads up ECHO Cottages in The Hudson Valley NY area, i just do the marketing aspect. a good average price for the Garage unit is $30,000. But that would depend on some variables, and will entail a visit to your home, if it is within our circle of business. Sorry to be so vague, but we are trying to give the same type of family type service that we are known for in the Hudson Valley and not sacrafice quality or reputation by trying to grow too quickly. Great Idea. Important to be accessible inside and out which means conventional cabinets may not be best solution. Also, just because someone is a “senior” person, does not mean they like cute or traditional and a more “modern” option would be nice. I am planning to do one of these types of structures on an adjoining lot to my small (but large?) 1300 sq.ft house which houses me and my design office. The two structures will share the ample outdoor patio/yard space. 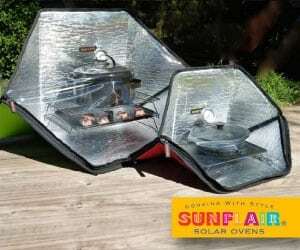 I also plan for it to be “off grid” to be as efficient as possible. As I work less, it will house me while allowing me to rent out the “big” house for summer season income. Love the concept and hope it catches on in NC. 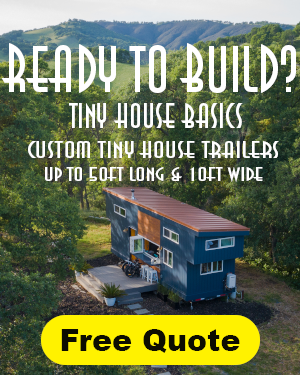 Just wondering if anyone in Northern VA renting a tiny home? I need a home and I was just wondering since I cannot afford to buy one. great floor plan! A small, separate space for all four major functions: bed, bath, kitchen, living. They do look like a mobile home, which is not a bad thing. 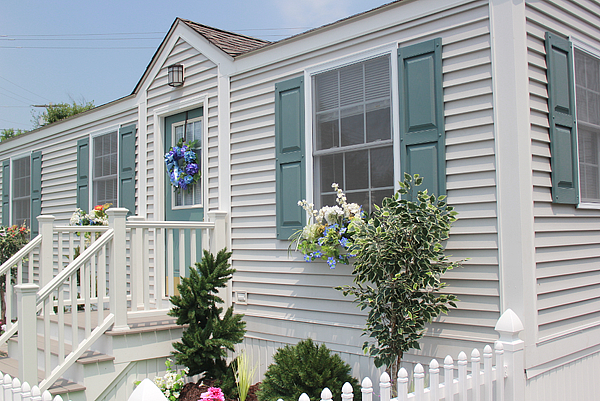 Mobile homes are a viable housing option for many people and a palace compared to how most of the world’s people live. Thank You for your comment, we do build these strictly for seniors and lease on a month to month basis as an alternative to assisted living facilities, we place these cottages in the rear yard of the senior’s adult child’s house and hook up all the utilities to that house. The towns that we are working with for the zoning change will then allow the senior to live in the cottage until they pass on or have to go into a full care nursing home, at which time we terminate the lease go back and remove our cottage and restore the yard, we then take the cottage back to our facility, refurbish, re-paint, clean, basicly anything to make it like new again and then send it back out on lease. I am 68 and this has been my notion all along that it is a great idea for seniors. I do not need much space, just my own. I would love to have a community of a circle of 10 tiny homes with an english garden to be in the middle to sit in. Could use golf carts in nearby shopping areas. Public transportation. I do not want to live in an inner city. I am a country girl. Do not want to live at Sun City, or The Villages, cannot afford them. Hi Tammy ECHO Cottages were developed as an alternative to an assisted living facility, which in our area run between $4,000-$6,000 per month, they do give you meals and laundry service, rides to your doctor, activities, etc, our price is $1,300 per month and even when you factor in the hook up costs to tie into the host house’s utilities the first year’s savings is around $38,000-$26,000 and $43,000-$31,000 from there after, plus the convenience of being only 25feet away. How are these different than a park model? Dear Bob, I have been looking at Park models for awhile. 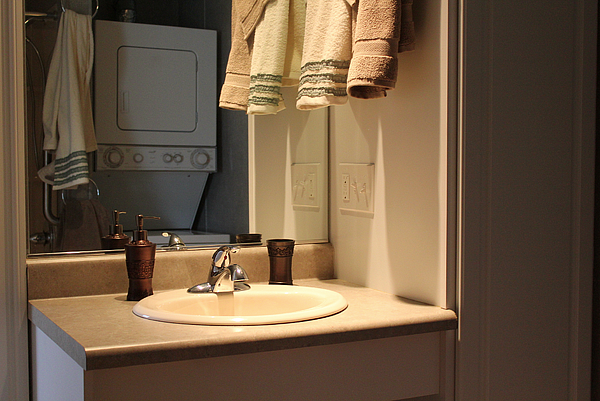 Most are not so senior friendly, or they lack basic amenities like a washer/dryer. I am quite impressed with your design. (I’m old, it’s hard to impress me.) I am at that awkward age, between middle age vigor, and senility. I am not ready for assisted care. A unit like this would be perfect for me in a park model campground. I would rather purchase than lease, and I am not in your part of the country. So my thought is: Have you thought of allowing other manufacturers to use your design and collecting a fee for every one they build? A sort of franchise that would allow EITHER lease or purchase? Thanks, Ruth. Hi Ruth Ultimately we do want to expand thru-out the country, possibly thru franchising, but we take the fact that for the Elderly person that moves into one of our Echo Cottages thru lease or purchase, this will be their last home, and we feel the responsability to make sure it is as comfortable and as happy a place as can be, for them and their family. We want it to have as many good memories as can be. Our family needs to find the right group to work with that will treat our clients like family, with the respect and warmth they show to their own parents. It will take time but I am sure we will develope a formula to make it work. this is alot more than selling burgers, we are helping people take care of the folks who took care of them when they were babes. Those are lovely! That is certainly something my husband and I could be very happy in. We don’t need a lot of space because it’s just the two of us. Besides the “Shotgun” houses I’ve seen on this site, I these Echo Cottages are my favorite so far. One question: how do you get these into people’s back yards? Design wise, a roof overhang will eliminate that mobile-home look. I appreciate that you are working for the housing needs of my older age group. These are lovely but it’s possible to go instantaneously from ‘mobile’ to ‘wheelchair-bound’; the counters, sinks, etc, need to be planned up front to be ADA compatible or you could be happy in a unit one minute and have it not suit your needs later. If you’re marketing strictly to seniors, you need to understand the various health issues that can arise. I would also recommend all doorknobs be lever-style, not round, and subfloor-heating, if possible. I’ve never seen the elevator lift you describe for the front stairs, but I can see the resistance to a ramp. Dontella, this is also why our leases are month to month, if for some reason the senior’s living conditions change, we will terminate the lease immediately and remove the cottage. Unfortunately we cannot refund the cost of hooking up the cottage to the host house, so we will be telling our clients to check with their doctors about their over all health, this is not a hospice situation. Although in our area if you figure in the target lease of $1,300 per month plus approximately $5,000 to hook up (which included restoration)which brings the total to $20,600 the first year, compared to $4,000 per month for a reasonably priced assisted living facility. That is a saving of $27,400 the first year and $32,000 every year after. Another thought; what’s it going to cost to hook up plumbing to these units, even if a sewer and water line is nearby? It’s got to be prohibitively expensive for most seniors who are looking for this kind of option, especially when the hookup is only going to be temporary (1-20 years?). And what would the permitting process be like considering the utilities that have to be added? May I suggest ‘no mirrored closets’? Not only do I not want to be forced to look at myself all the time, they’re a hazard. Wood is quieter, softer if you fall against it and more attractive. Probably less expensive, too. 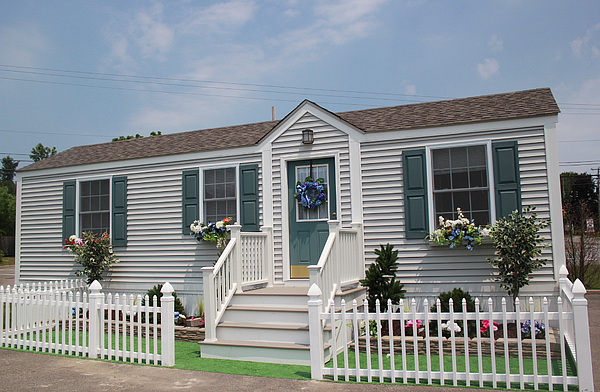 I’ve always hated the ‘mirrored wall/closet’ look in mobile and manufactured housing. They can also be oddly disorienting for some reason. Dominick we would love to accomadate your needs if possible. out of curiosity, where are tou located? trying to track where we are reaching, since we haven’t actually started to advertize yet, and i am getting inqueries nation wide from our website http://www.echocottages.com and word of mouth. what is the sq. ft. for this cute place? I am thinking of two different situations that you might consider outside of your area that would be interesting to many seniors my age or older. My first thought would be for a single sen.ior that doesn’t need or want a large place that could fit on a lot that a small cottage had been For myself I have a spot in mind. A place like this could replace a seasonal cottage that has septic and water already. The other thought is our area has land that they are looking to build a place for seniors so they do not have to leave their home town area when they can no longer live completely alone. If they decided to have more than one type of housing for their seniors this could be one which would be located around the center of what would be for offices VNA doctors and on site living for those who need care 24/7. Would your company consider selling these for something like the two situations I have mention? Sorry if I am putting a lot out there for you to read but these houses are perfect for this but only if they could be sold outright. I can see your reasons for doing what you are in your area and at the same time it is more profitable but there is such a need for housing like this and for some seniors they can be alone but if they were in this second setting then they could have someone stop in or they could eat with the others in the main living area. We are in a very rural area and so this really is something that would fit in with our area. I would be interested in hearing what you think. Hi Darlene, First I am sorry it has taken so long for me to get back to you, it has been very hectic here for the last couple of weeks, we are in the process of recieving approvals to place our cottages in 2 of the largest towns in our area, our County has recognized that this type of senior housing is very desirable, and we are recieving support from them. I was finally able to do a presentation last week, for ano.ther of our large local municipalities that initially had no interest, no realizes what a great idea we have. We are in the process of fine tuning our production model, which will be out in time for spring deliveries. We just recieved word on friday, we get to display at the Dutchess County Fair, New Yorks Oldest County Fair, with 350,000 visitors for the week it runs in August. I would love to talk to you about your Idea you have, if your Area will permit it, and we can be assured it will be run properly, so as we are identified with acquality and caring product, please call me when you get a chance at 845-206-6525, this is my cell phone, Thank You Bob Novak, Sorry our Cottages are 400 Square feet. But Aguero said: Im not thinking about Real Madrid or any Spanish team or anything else.